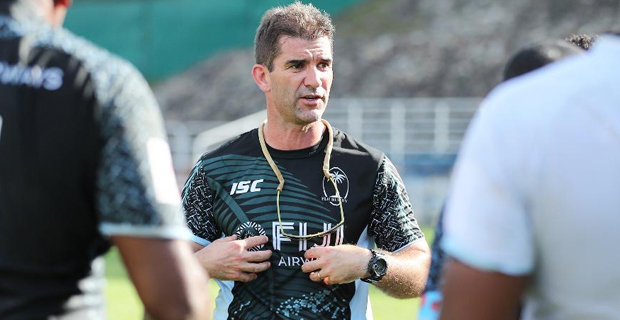 Fiji Airways National 7s coach Gareth Baber says Fiji will win the next HSBC World 7s Series as they are on the right track with the players that he has managed to build over the past tournaments. As Fiji goes into preparation mode for the next World 7s Series and the 2020 Tokyo Olympics, Baber says a lot of assessments have been made after Fiji falling short in the last World 7s Series, the Commonwealth 7s and World Cup 7s. Baber says lessons have been learnt and they have set out their goals. When asked on whether he will rely on the players that play consistently in the HSBC tournaments or still look at 15s players playing overseas, Baber says it all depends on the players to deliver consistent performances to show that overseas 15s players are not needed. Baber says he picked the overseas 15s players after judging their performance in the Paris and London 7s. He says people have to remember that these players playing in top level competitions overseas have the mental toughness and exposure to win games for Fiji. Baber says he still saw some weaknesses in the team that was playing in the HSBC 7s Series, and he is working on ensuring that the players step up to the level of the players overseas.